Contact grills play an essential part in the kitchen, useful throughout the day be it breakfast, lunch or dinner. 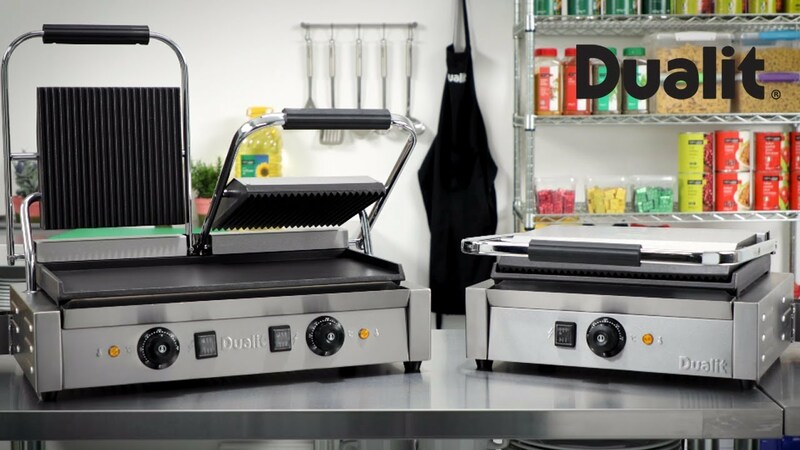 The Dualit range includes three sizes: single for individual portions, panini grill - perfect for paninis, and a double contact grill for versatility. Each model features robust cast iron plates with a sprung top plate for flexibility, a thermostatically controlled temperature range of 50-300°C and a removable drip tray for easy cleaning.